Softball season goes into full effect as the Georgia State Panthers look to start the year off with a bang in the USF Series. The Panthers were voted to finish third place in the Sun Belt in the preseason coaches’ poll. Seniors standouts Ivie Drake and Megan Litumbe were named to the preseason All Sun Belt team for the second consecutive season. Coach Roger Kincaid, who has a record of 211-138 throughout his coaching career at Georgia State emphasized the importance of winning the Sun Belt Conference title. “I think it is of most importance and our ticket to an NCAA regional,” said Kincaid. If the Panthers win the Sun Belt, they won’t have to rely on a committee to vote them into a regional. Last season, Georgia State played in the Sun Belt Championship against UT Arlington in a tight 9-8 loss. They were voted in by the NCAA Division I Softball Committee to participate in the National Invitational Softball Championships. After losing to Kennesaw State earlier in the NISC Region 5 tournament, the Panthers fell to them again in the title game. Coach Kincaid talked about how he and his team do not dwell on past, but use the past as a learning tool. “Not to say you do not learn from the past, but, when we get to that point against them, we will have some scouting information,” Kincaid said. He acknowledged the need to finish games when it gets very close like the two games against Kennesaw State. Kincaid has the team to do so this year with boatloads of experience returning. Sixteen players who were part of the 2017 team (36-25, 18-9) are on the 2018 roster. Senior Kinsley Jennings, the 2017 Sun Belt Newcomer of the Year led a 2017 pitching unit who looks to improve upon their seventh-place ERA in the Sun Belt. Jennings’ 3.34 ERA and 18 wins were an integral part of her campaign as the Panthers’ top option. However, hitting should be the team’s strength again with six returning starters on offense. Georgia State was exceptional at putting the ball in play, finishing first in hits (508) and second in batting average (.300) in the Sun Belt. Litumbe recorded 22 homers in 2017, tying the single-season school record held by Drake. 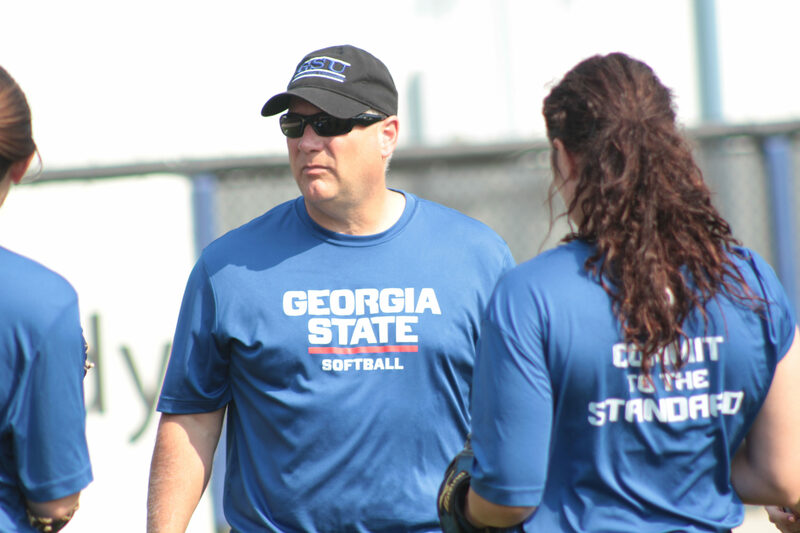 Litumbe also holds Georgia State’s career homerun record with 53 homers in just three seasons..
“It is a pretty cool stat, but I just try to help my team win in any way,” said Litumbe. Litumbe described her and Drake’s relationship as friendly competition. Both Drake and Litumbe know that they push one another to be better, which ultimately betters the entire team as the leaders. Drake has 47 homers in her career, good for second in Georgia State history. She’s also first in batting average (.407) and second in runs scored (168). Although a selfless, team-oriented player, Litumbe talked about finishing her career strong. “I just want to leave a legacy like [Coach] Roger,” said Litumbe. She holds Georgia State’s single-season record in slugging percentage (.826) and owns fourth in RBIs with 60 in both 2015 and 2017. The Panthers open the season with a doubleheader in the USF Series on Feb. 9 against No. 18 Michigan and South Florida.